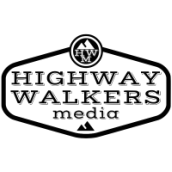 Click the cart to visit the HW Store! Contact us for DVDs, Photo Books, and Personalized T-shirts! 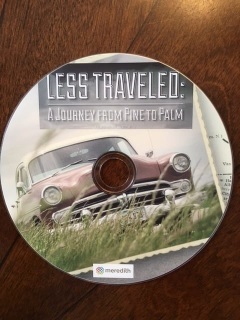 A documentary about our journey down the Jefferson Highway. From Winnipeg to New Orleans down the century old highway in a 1954 Dodge. 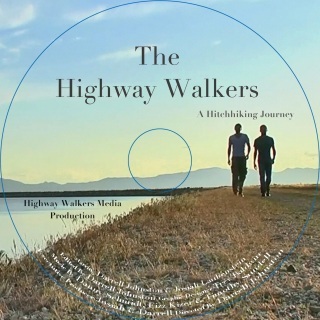 Two bumbling friends retrace the ancient highway in it's centenial year to discover the adventure that can be had when you take the road less traveled. 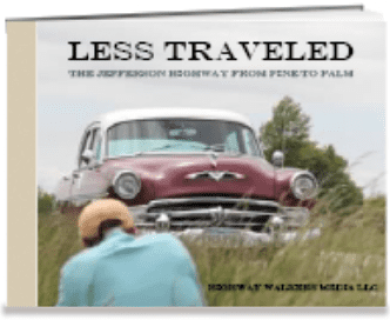 A photo book of the Jefferson Highway. Taken in the centennial year of 2016. 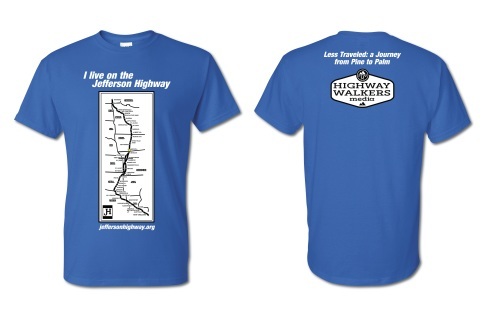 Personalized "I live on the Jefferson Highway" shirts. Put a star on the map over your town!